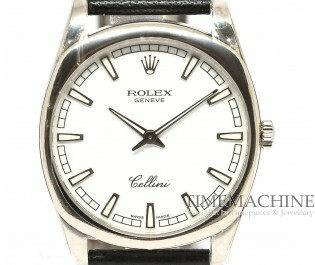 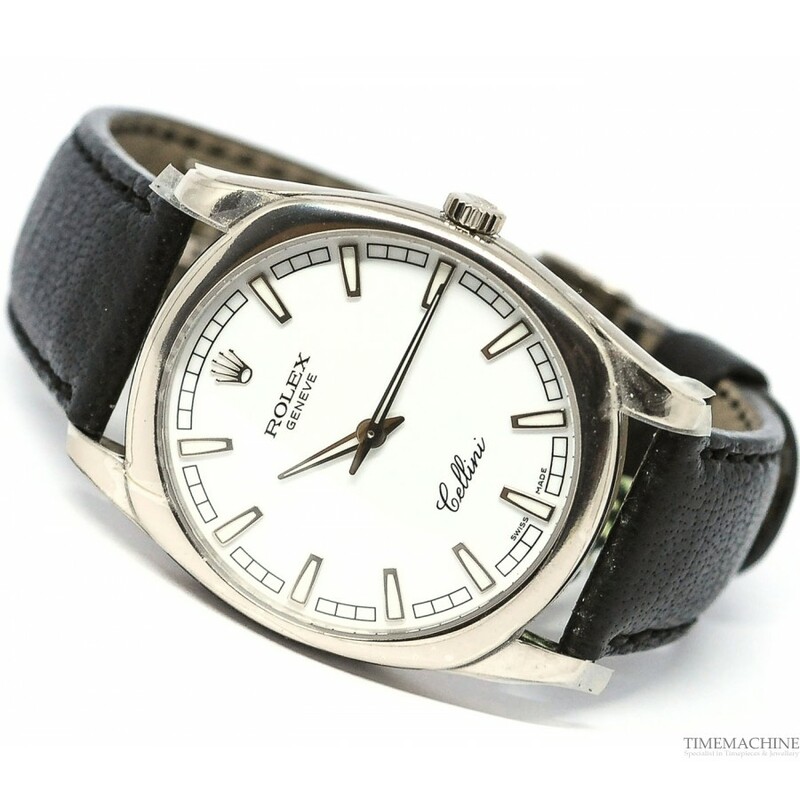 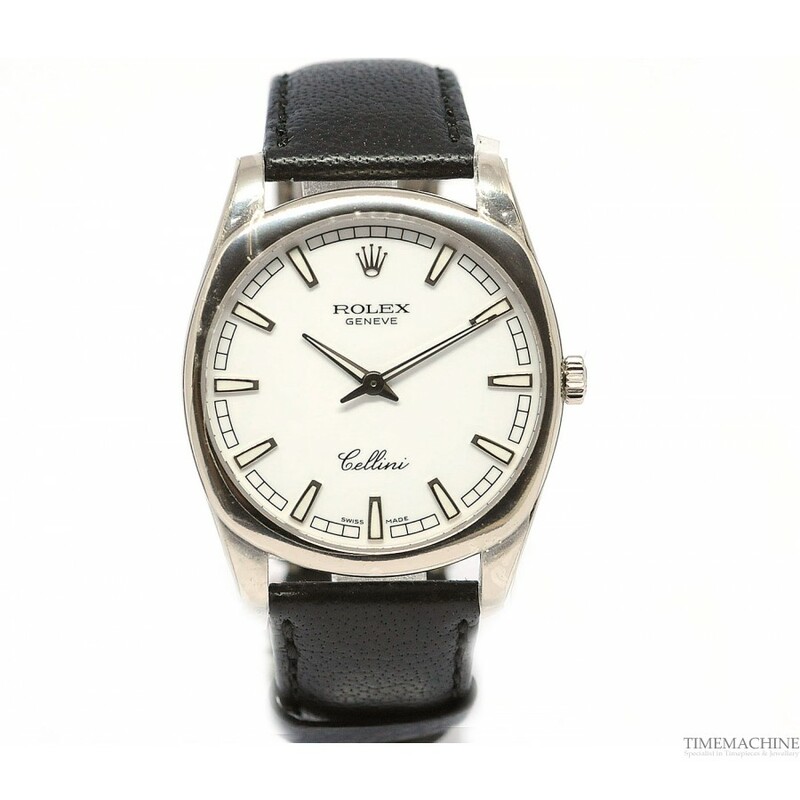 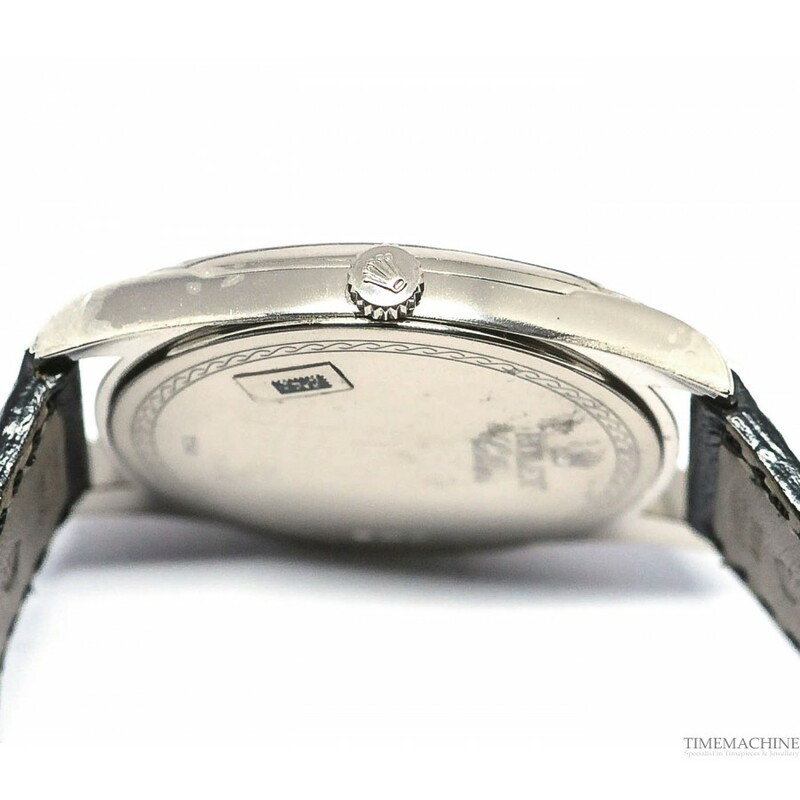 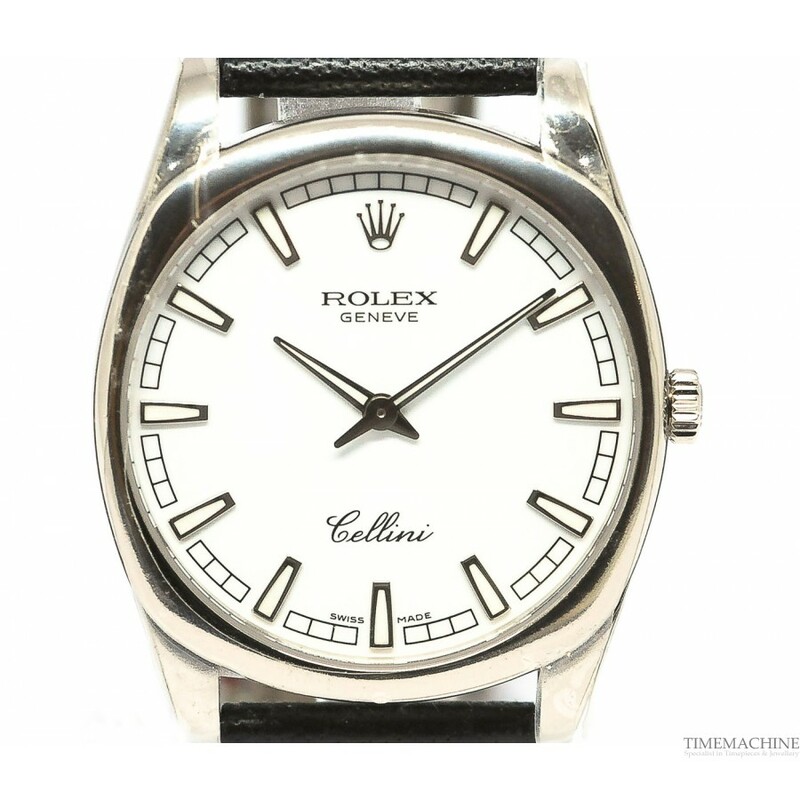 Unworn, Old Stock Rolex Cellini 4243, 38mm white gold case with white dial and silver hour indexes, white gold case back with black leather strap and white gold deployment buckle. 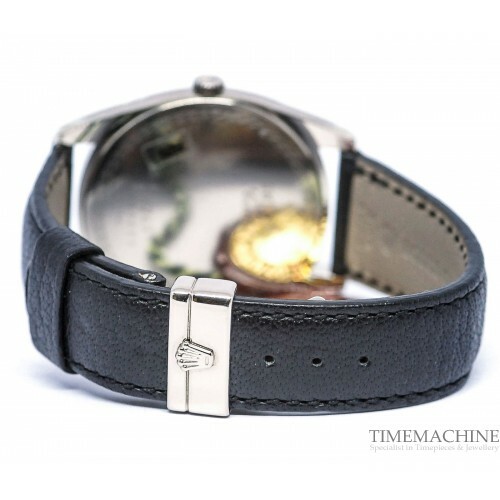 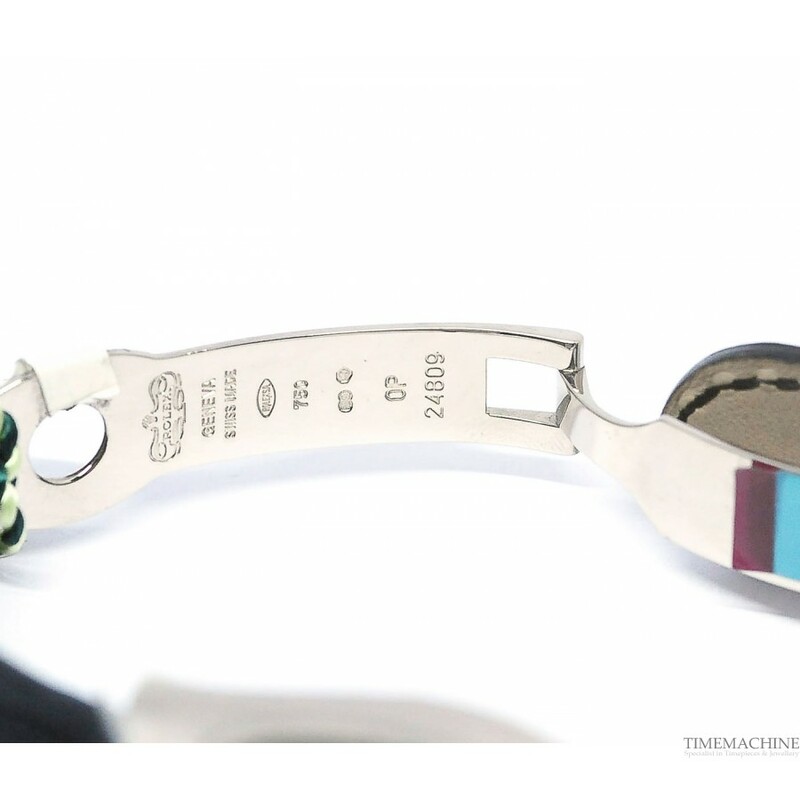 Complete Set of TM box and TM papers including 12-month mechanical warranty. 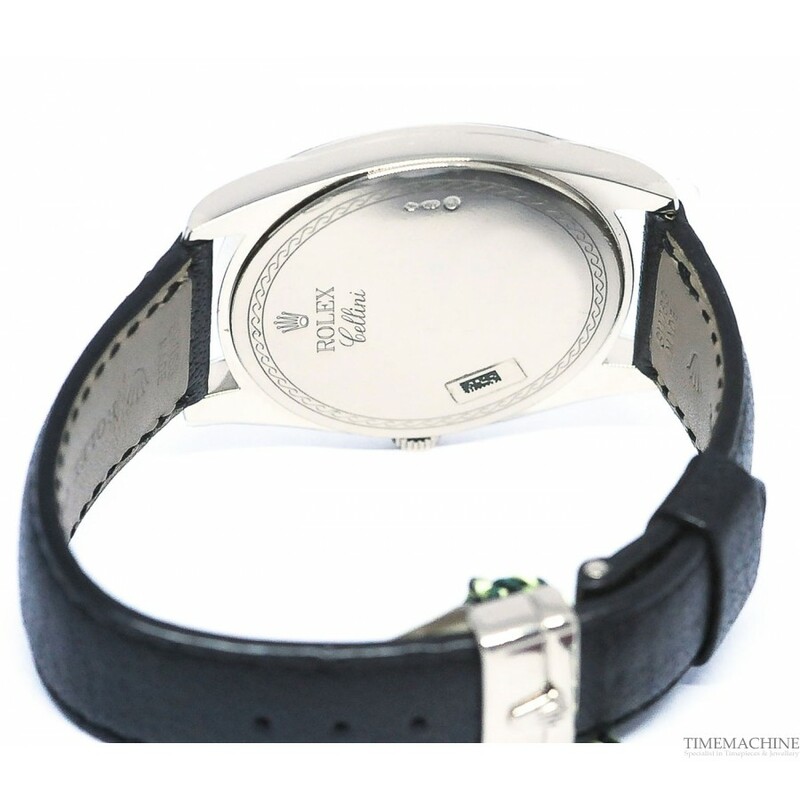 Please Quote 3280 in all communications with us regarding this Timepiece. 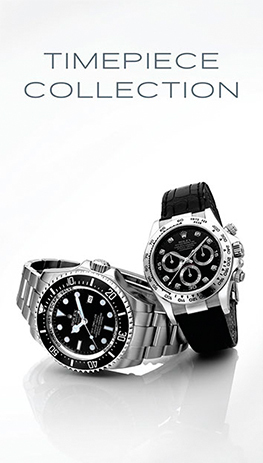 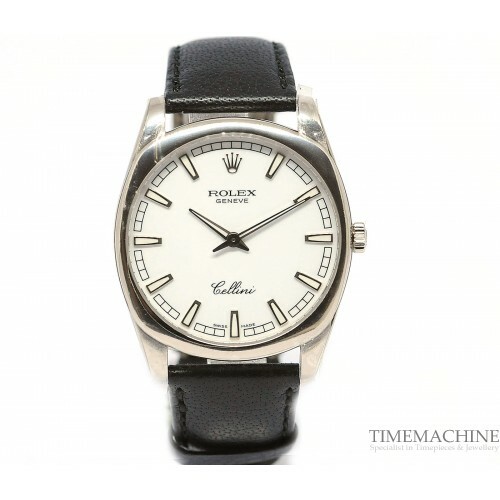 Cellini is one of the most elegant watches of Rolex timepiece collection and was named after the famous Italian goldsmith and sculptor, Benvenuto Cellini.